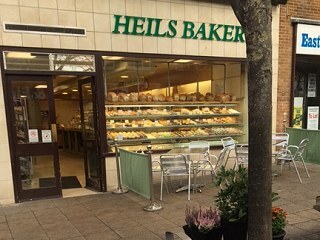 Heils Bakery is situated in the top part of Lowestofts London Road Nouth, the paved shopping street is a wonderful relaxed shopping area with many local shops mixing with large national retailers. Ample parking is available around the area. Open 8.00am – 5.00pm Monday to Saturday.